(De)Occupy Honolulu, 30 April 2012, Day 177 of continuous encampment: Ten heavily armed Honolulu Police Department officers accompanied by about a dozen City workers under the direction of Westley Chun, Director of Facilities Maintenance and Engineering, taped off the portion of Thomas Square sidewalk used by (De)Occupy Honolulu and forced protestors outside the perimeter. Since the tents had been rotated out after Raid 14 on April 27, none were subject to seizure under the "Bill 54" ordinance 11-029. 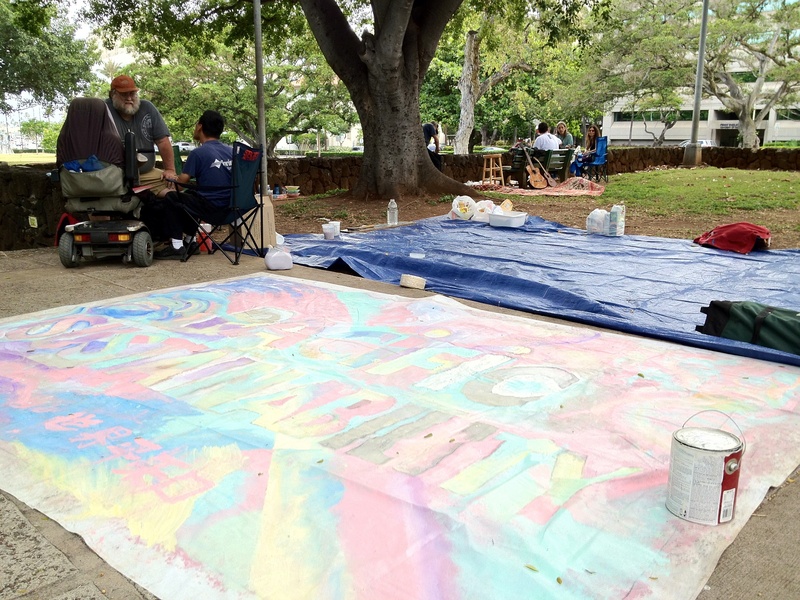 But one tent containing newly produced artwork by Hawaii artist Michael Daley and California artist Raul Gonzalez was singled out for seizure along with two large paintings which had just been completed the previous afternoon. Westley Chun directed the seizure of the tent, the artwork, and newly acquired paints and art supplies. We are urging people to call Mayor Carlisle at 768-4141 to demand return of the illegally seized artwork. 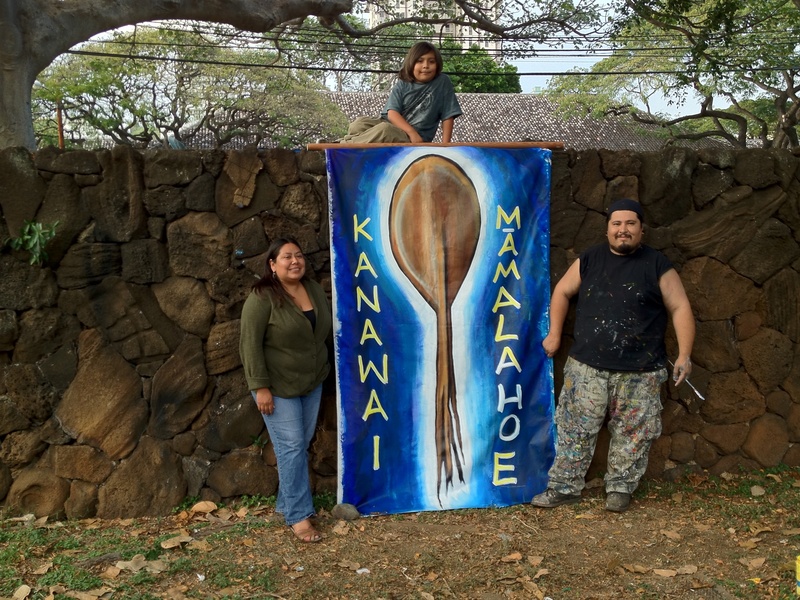 Hawaiian cultural practitioner Laulani Teale has made a call out for an action to demand return of the artwork. The crews did seized property of the houseless people on the opposite corner of Thomas Square at Victoria and South Beretania Street. Property seized included suitcases of clothing, blankets, medications, shoes, carts, and toiletries. Notably absent during this raid were personnel from the Office of Housing which in the past has offered at least token services to the homeless. In this raid, the homeless were left on the sidewalk with no possessions and no help.